Merchants in Amsterdam during the 17th century bought exquisite huge wood cabinets and commissioned miniaturists to create rooms within the cabinet that duplicated the interior of their lavish homes. These unique pieces of furniture, referred to as “Cabinets of Curiosities”, which held delft china, silver and gold objects as well as handmade rugs. You would think this was a dollhouse but no child ever played with these expensive pieces of furniture. You can see some beautiful examples of these cabinets on display at the Rijksmuseum in Amsterdam. 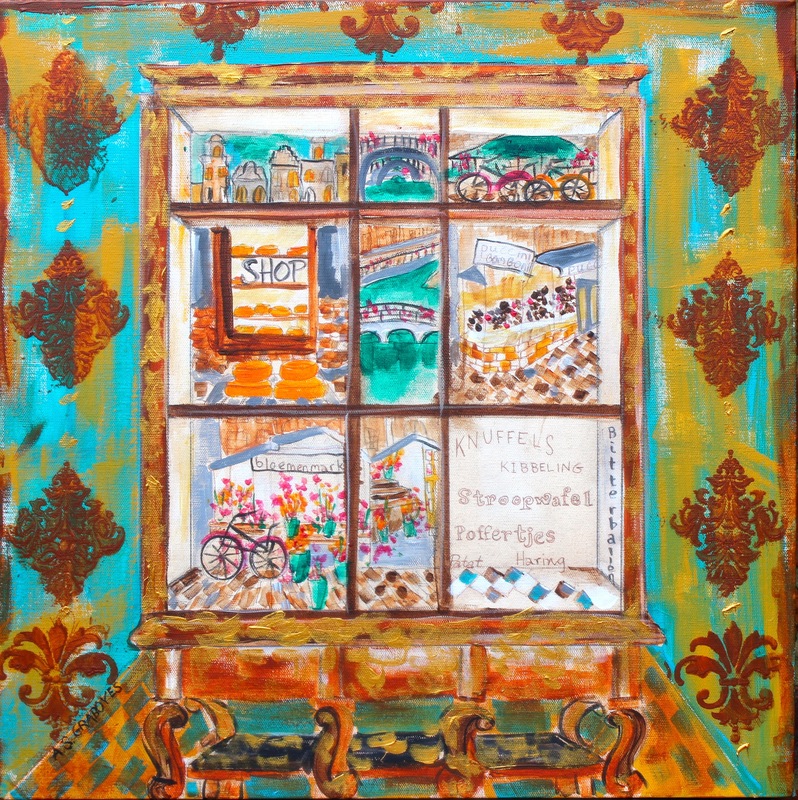 My canvas “cabinet” replicates a cabinet and is filled with painted scenes of the city of Amsterdam – a curiosity to me.